The PA Craft Spirit Fair, taking place on Sunday, September 13th, will feature a tasting session from over 12 craft distilleries across Pennsylvania paired with food from Allentown Restaurants and music from Allentown band The Yetis. Tickets for the event are $30 and $20 for DDs and a portion of the proceeds from this event will go to benefit the Pennsylvania Distillers Guild. The Shakers Ball, which will closed out the week on Saturday, September 19th, will have a ‘bar food throwdown’ pitting local restaurants against one another as well as the “Iron Shaker Competition” which will have LV bartenders vying for the title of best cocktail. Local band UUU will provide the music. Tickets for the ball are $45 or $30 for DDs, and a portion of the proceeds goes to benefit the United Way of the Greater Lehigh Valley. 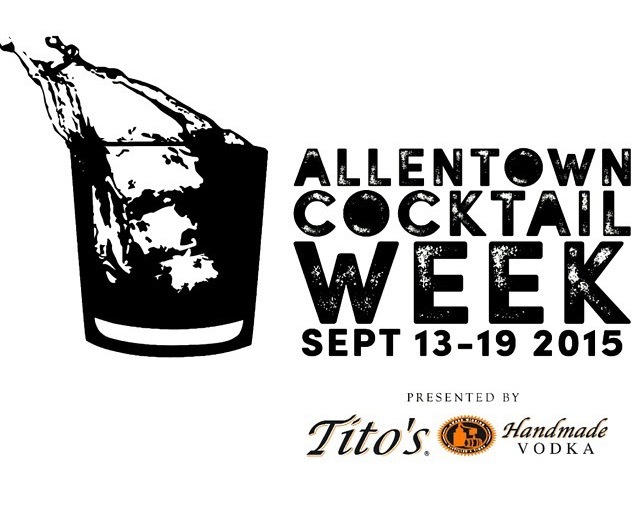 Check out the official Allentown Cocktail Week website for more details including a full list of bands playing at bars throughout the week, additional events, and ticketing info. Be sure to use promo code ACW2015 between today and August 11th to get $10 off of each ticket.